As we transition into the new year, we have been able to reflect on what happened in mobile over the past year, enjoying new dual-core smartphones, a multitude of different tablets and the fights between the world’s biggest vendors both in terms of sales in various courtrooms around the world. With CES 2012 set to commence in under a week in Las Vegas and Barcelona due to welcome mobile enthusiasts and press at Mobile World Congress in February, smartphone and tablet manufacturers are working hard to finalise their plans for 2012 and introduce the latest technologies to wow consumers and increase competition with their rivals. The mobile space is set to expand in the next year; some developments we are able to predict, some we can’t. Let us take you through what we believe will be available to you over the next 12 months. 2011 saw the rise of the dual-core processor, 2012 is set to usher in the quad-core processor. In February 2010, Nvidia made the first move to declare its plans for quad-core processing, announcing its processor roadmap which ensured it would release its new Tegra 3 chip months before its competition. 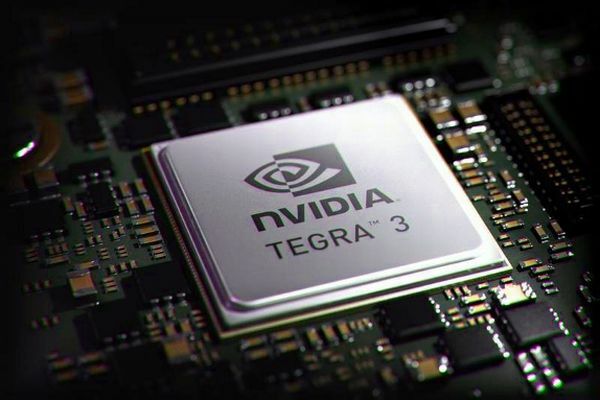 Project Kal-El is the codename for Nvidia’s new Tegra 3 mobile processor. It is to ship with a new 12-core graphics processing unit, support HD resolutions up to 2560 x 1600 and will be around five-times the speed of the Tegra 2. Taiwanese smartphone maker HTC is tipped to skip CES 2012 and debut its new Tegra 3-powered smartphones at Mobile World Congress in February and Samsung is rumoured to be working on a new quad-core Galaxy S model which could also debut at the event. Asus has already launched its quad-core Transformer Prime Android tablet, which has received mixed reviews over its locked bootloader. Acer and Lenovo are also supporting the new processor, helping boost Nvidia’s growth and of course its revenues. Its rivals, Qualcomm and Texas Instruments playing a sort of catch-up, having announced varying plans for their quad-core processors. Although Qualcomm has announced its new quad-core APQ8064 processor, it isn’t expected to become available until mid-2012. With increased processing power and improved graphics, quad-core chips are set to close the gap between the computer and the mobile device. Users will experience faster web browsing, more efficient processing, 3D gaming, 1080p video playback and low-power graphics — what else could you want? Whilst Apple and Samsung continued to enjoy increased smartphone and tablet sales in 2011, rivals Motorola, Sony Ericsson, RIM and Nokia all struggled to compete in fast-moving market. Nokia finally saw the writing on the wall, announced it would drop Symbian in its smartphone devices and signed a deal with Microsoft to output new handsets, which launched in October last year. RIM, on the other hand, saw its much-hyped BlackBerry PlayBook flounder and later announced that its new BlackBerry X (then renamed to BlackBerry 10 following a lawsuit) would not debut until late 2012. RIM’s stock price plummeted and more recently the company is reportedly looking to ditch chairmen Mike Lazaridis and Jim Balsillie from their positions in the company. With the company in a state of flux, we could see the company look to separate the core elements of its business to try and boost revenues through licensing. The Canadian smartphone maker still enjoys a large corporate market share thanks to its reliable enterprise email and messaging service, but could leverage this to license its technologies to other smartphone vendors that are looking to offer advanced email and messaging solutions. There has been talk about a possible takeover by Microsoft. However, the software giant has also been linked with the possible buyout of Nokia’s smartphone arm — making it difficult to gauge if the Redmond-based company would be interested. With RIM’s experience in the smartphone market, its low value (in comparison to its rivals) makes it an attractive proposition for other mobile manufacturers but also companies like Microsoft, Amazon or even Facebook that may want to formally move into the phone-making business. It’s going to be a long 12 months for RIM; it has a lot of work to do to convince consumers that its new devices are innovative and build upon the company’s existing models. With NFC expected to make an impact this year, the inclusion of the technology in its smartphones will help the company entice users to its ecosystem but with a lacking application marketplace and decreasing support from developers, it might not be enough. This year is likely to see swift evolution of the Mobile Web, as brands and developers look to assert more control over the look, feel and features of their applications. As The Times newspaper and Internet retailer Amazon moved its apps to the web in order to circumvent the restrictions of Apple’s App Store, companies will be assessing whether it is more cost-effective to develop a number of different applications for each mobile platform or one web-based app that can work on all platforms. As it stands, browser apps may lack the ability to locally process data and lack support for detailed graphics, and of course will require you to be online to use them. However, with the HTML5 standard rapidly evolving and developers working to port features associated with native apps to the Web, browser apps are only set to become richer and more powerful. App-based social networks aren’t new, ever since mobile app stores launched developers have been working to connect with the millions of smartphone owners and turn their usage into revenue. Whilst Facebook and Google both offer applications and web-based access to its users, the size and scope of their offerings ensures that they are unable to iterate their mobile apps at the same rate as the desktop browser. However, with the launch of apps like Instagram and Path, mobile users have are increasingly signing up to mobile-only apps that build upon functionality offered by Facebook and Google, their larger and wider reaching competitors. Path and Instagram have found success because they made their apps easy to use, fun to share and easy on the eye — Instagram topped 15 million users in December, and that’s just on the iPhone (although Android is on the way). 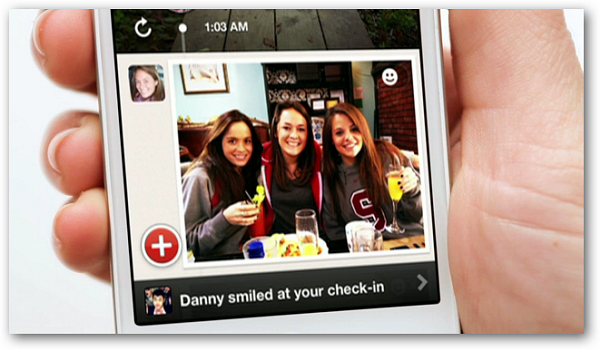 Noting the success of Instagram and Path, but also taking into consideration apps like Kevin Rose’s Oink — which has been criticised for its lack of targeted focus — developers and brands will look to apps to entice the rising number of smartphone users, connect them and find ways for them to interact virtually and with people, places and objects in their daily lives. Mobile advertising has come of age since the launch of the App Store and Android Market, both Google and Apple have their own platforms to deliver advertising within applications, whilst other services reward developers for the numbers of clicks generated within their apps. IDC believes that mobile advertising revenues will almost double in 2012, rising to $4.1 billion, with search ads expected to be targeted by marketers. As the App Store and Android Market continue to thrive and inch closer towards the million app mark, developers will experiment with free and paid apps, increasing the number of clickthroughs and conversions on networks like AdMob and inMobi. More marketers will likely abandon the featurephone advertising market, focusing on the more lucrative (yet competitive) smartphone market. 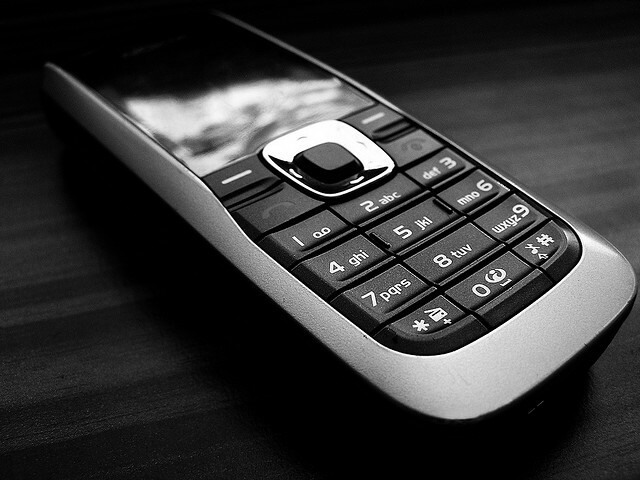 In 2012, smartphone use will start to move away from featurephone use and marketers can’t afford to spread their advertising dollars across too many markets. 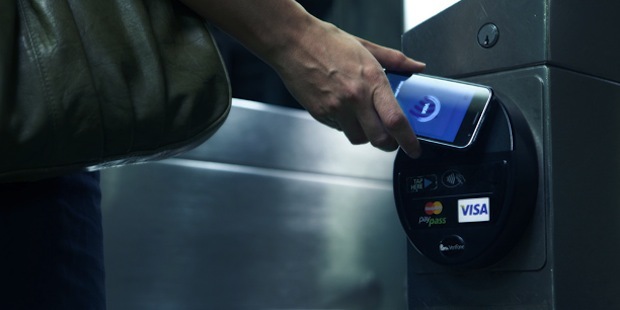 NFC has threatened to make its mark over the past year but carriers and vendors have yet to come together to deliver NFC technology to consumers around the world. Google finally launched its own NFC payment service Google Wallet on September 19, making wireless payments available to Android smartphone owners with NFC capabilities. The service has recently experienced a boost since the launch of Samsung’s Galaxy Nexus, but it is still limited to a small number of US cities. US operators Verizon, AT&T and T-Mobile have signed an agreement to form a NFC payment service called ISIS, gaining support from the major credit card companies and also some of the world’s top smartphone makers. Visa has also announced plans to outfit the 2012 Olympics in London with contactless payment technology, ensuring that millions of the city’s occupants and tourists can pay for tickets, merchandise and other items using their smartphones. Whilst quick and easy payments will be what the operators and manufacturers will be looking to use to maximise their profits, NFC will also allow mobile device owners to interact with posters, billboards and branded signage to view mobile commerce sites, read movie reviews and ratings, ultimately replacing the clunky and annoying QR code. No more scanning, more tapping. Move the phone near to the desired object and BOOM, your smartphone does the rest. It’s likely that many cars will feature the technology in the near future. Carriers are likely to hold the key in this market as they are able to build upon their Value Added Service (VAS) strategies to utilise the customer data they have on file and directly charge it to their bank accounts and credit cards. Smartphones and tablets may still grow in size over the next year but the platforms that run them are being incorporated into smaller devices that can be worn and can interact with other devices around them. This year we are likely to see more Android-powered watches, control panels that can control elements within your house and extend capabilities to the electronics that are spread out within it. Think of a bracelet that will be able to accept voice commands and deliver them to your smartphone, a sleep monitor that can interact with your curtains to open them at a specified time to wake you naturally — the technology is already here, it’s a matter of who will deliver it first. Although LTE 4G services are still unavailable in a number of worldwide markets (including the UK), the network standard will become widespread in the U.S and other major mobile markets, delivering superfast data to consumers and improving network reliability. Operators are investing millions (and in some cases billions) of dollars into adapting their networks to cope with the steady adoption of 4G smartphones and tablets. This will galvanise major players like Apple to convert fully to the standard, possibly driving the development of new over-the-air media services and apps that will be able to take advantage of the new service. 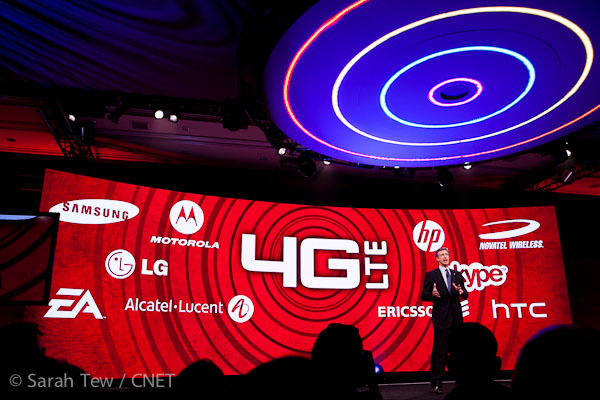 The fate of LTE services in the hands of the carriers, which have control over how much data their customers can use. Unless the operators are more generous with their data caps and transfer limits, consumers will be slow to convert from their all-you-can-eat 3G services. Smartphone sales may be on the increase but it is only a matter of time until the market begins to slow. In order to retain customers, vendors need to deliver their own services to keep them loyal to their service. Apple has its iTunes music, movie and TV service, Amazon has launched the Kindle Fire which can deliver over 16,000 pieces of video content, its own app store and is tied in with customer accounts via its retail site. Mobile vendors will need to develop their own value added services to reduce the number of customers that switch between handsets based on specifications. Apple has had the advantage in the fact that it is in full control over its ecosystem, other device makers have to rely on the development of features and services by Google and Microsoft, making it more difficult to offer a unique experience over its rivals that utilise the same mobile platforms. HTC has invested in OnLive, a Cloud-based gaming service, whilst delivering its own music and video services. Samsung has done the same. Expect all major players in the space to do the same and build upon them to retain the customers they already have. The mobile landscape is set to change over the next year, meaning that even if some of these predictions may happen, they may evolve to offer different features or services than what we were led to expect. Apple will undoubtedly explore new technologies in 2012, building upon its voice-activated assistant Siri and finding new ways to expand the uses of its smartphone and tablet devices. That’s what makes it so difficult to predict what Apple will do over the course of the year. What do you believe 2012 will hold for mobile? Hit us up in the comments.